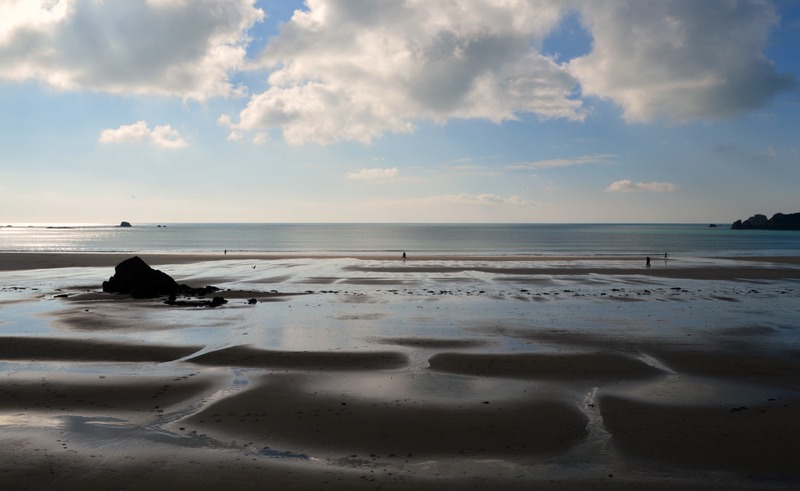 After the not great weather we had on Saturday, we were hoping for a day of sun to explore a different part of Jersey. Thankfully, the sun came out and the sky was blue as could be! 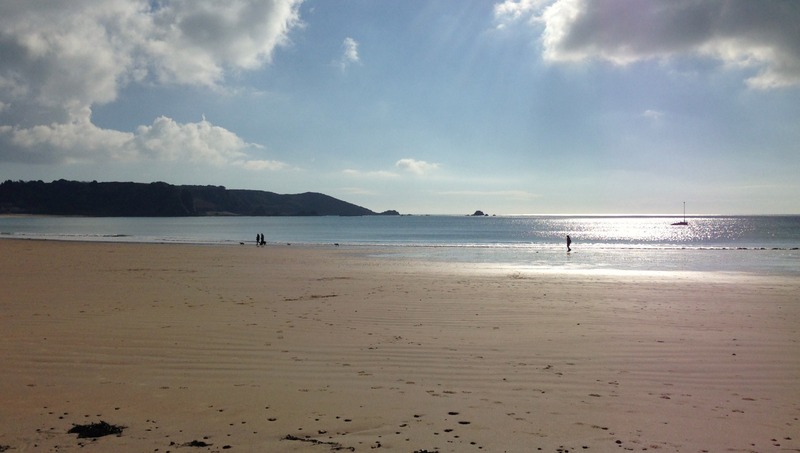 The temperature was around 50 degrees Fahrenheit making it a great day to check out St Brelade’s Bay. 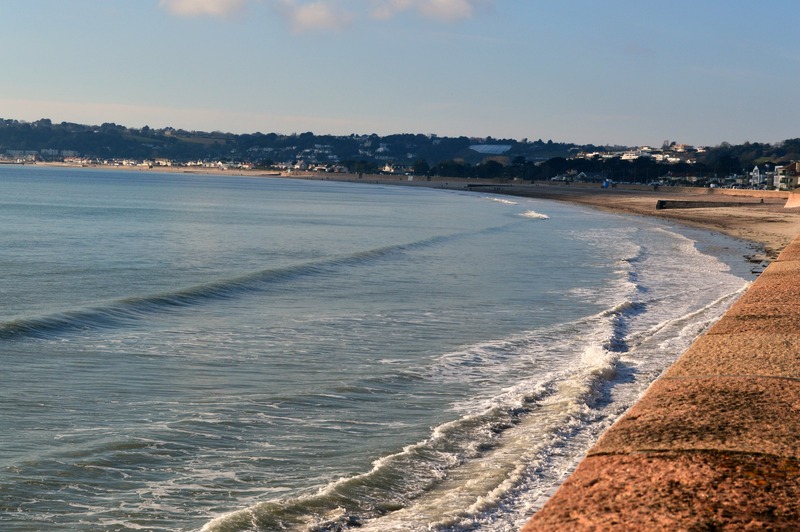 A friend of mine had recommended we eat at Jersey Crab Shack, so we booked a table for 12:30 on Sunday and took a taxi to St Brelade’s Bay about an hour before. As I mentioned in my first post about Jersey, the people were so incredibly friendly, so when we told our taxi driver where we were heading, he came up with a plan for us to enjoy walking on the beach and end up at the Crab Shack just in time for our reservation. The tide was out when we arrived leaving us loads of beach to explore. 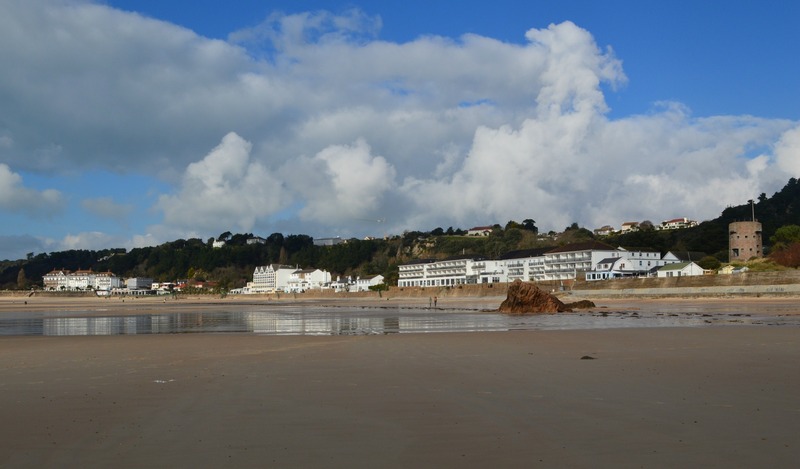 We strolled nearly the entire way to the far end away from the hotels and restaurants of St Brelade’s Bay before turning back. It was truly beautiful with the sun shining down. 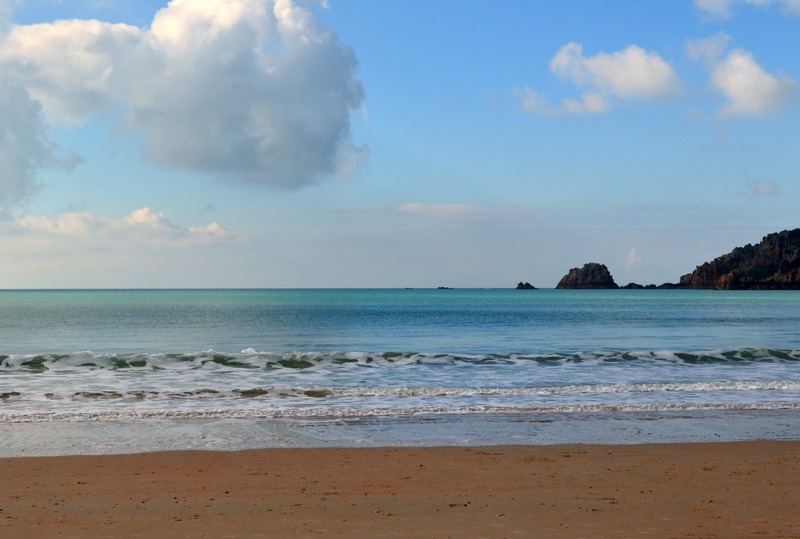 St Brelade’s Bay is a bit of an oasis as it is much quieter and tucked away from the city and the main road around the island. 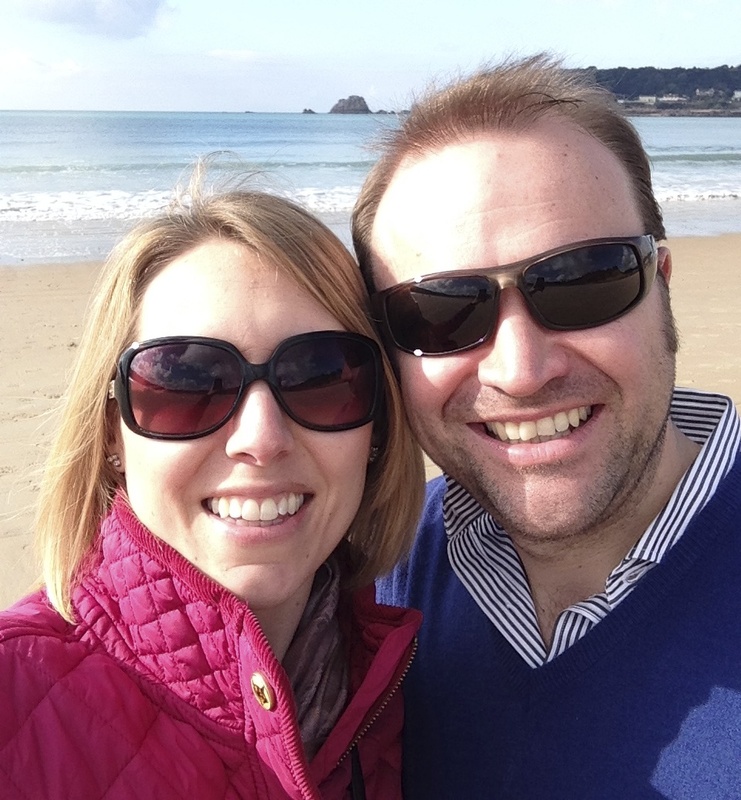 It would be a great place for families to stay when visiting Jersey. Our lunch at Jersey Crab Shack was absolutely delicious. We’re so glad we booked a table too because we saw group after group of people come in only to be turned away because the restaurant was completely booked. (Yes, even in the winter!) If you ever plan to visit Jersey Crab Shack, definitely make sure you reserve a table ahead of time – it’s so easy to do online through their website. We had a table right at the window and drooled over the menu for a few minutes before deciding on the crab bruschetta to share as a starter. 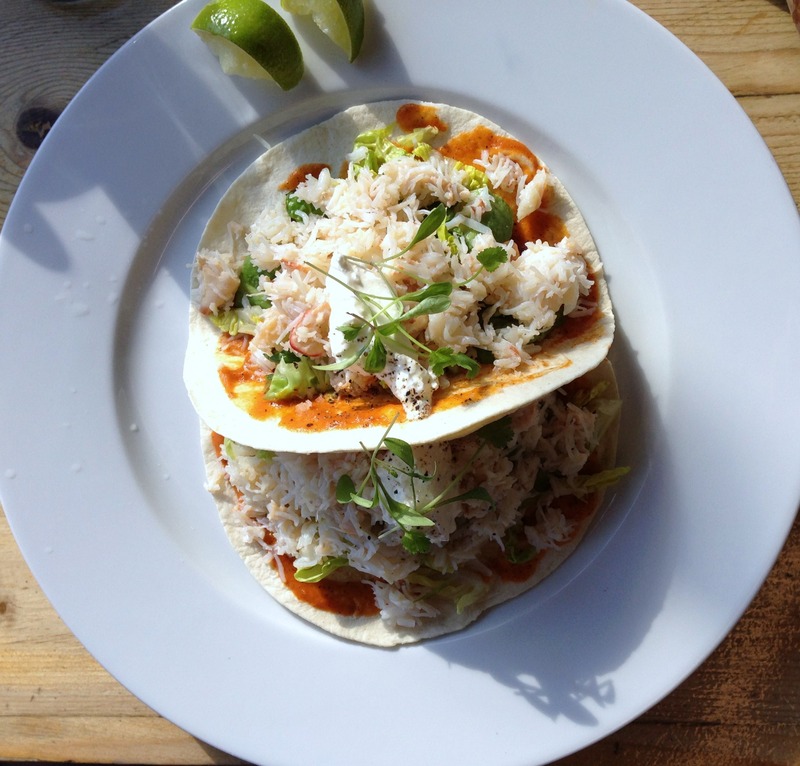 For our main courses, Richard ordered the crab tacos and I ordered the seafood platter (I think that is what it was called). 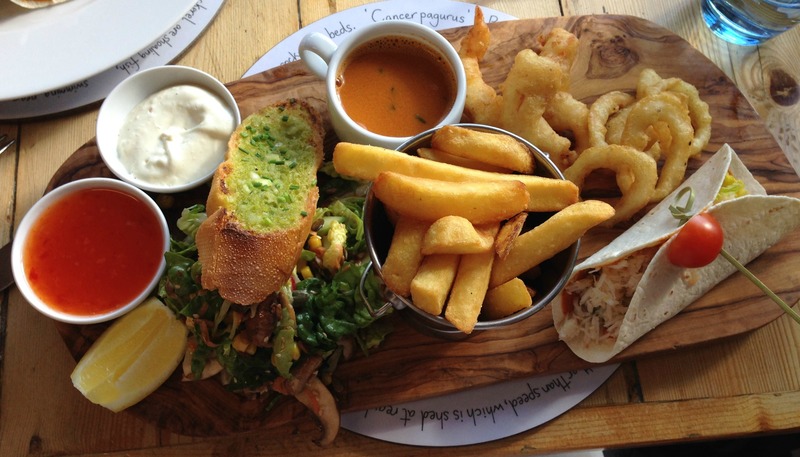 When our meals came, we couldn’t believe how generous the portions were and how great the food looked. Richard’s tacos were brimming with crab meat and my whole platter was just mouth-watering. They tasted as good as they looked, too! After finishing our meal, we got a taxi to take us to St Aubin. 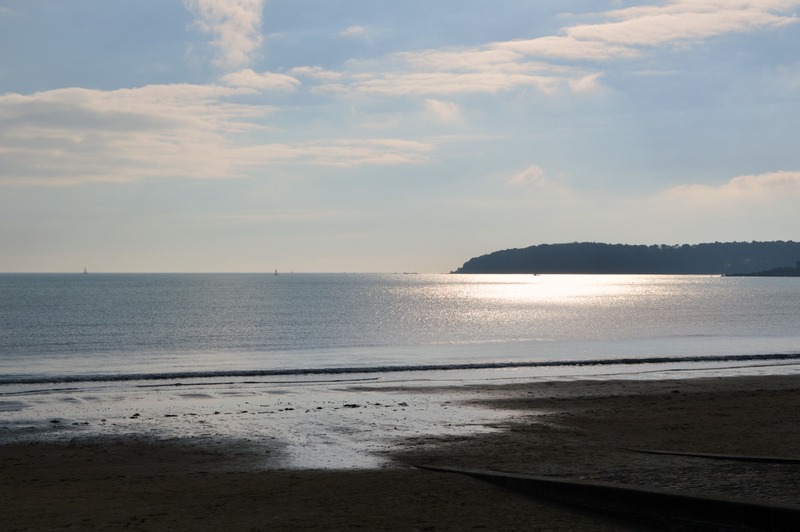 We were dropped off on one end of the bay, which allowed us to continue enjoying the nice weather by walking along the bay back to St Helier and to our hotel. It was the perfect end to a wonderful Valentine’s weekend. I would most definitely recommend Jersey to anyone considering a visit there. We loved everything about the island and are looking forward to returning in the future with our girl.